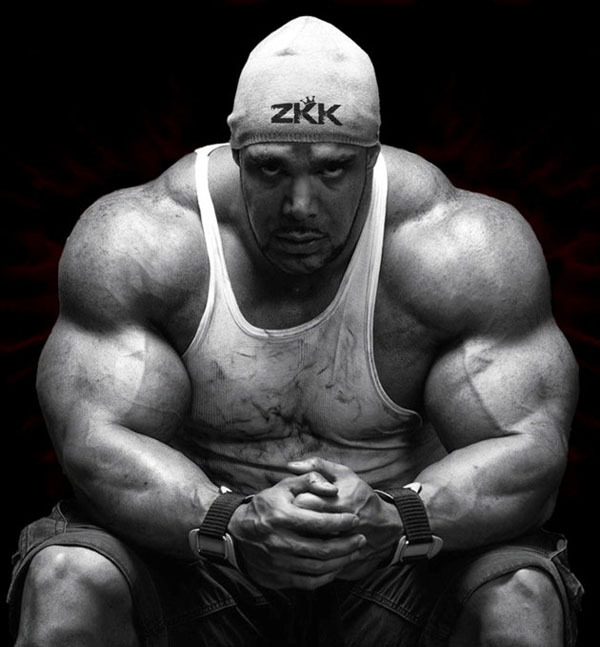 What is Arimidex Astra Zeneca 28 Tablets 1 mg? Each tablet contains 1 mg of active substance anastrozole and excipients, lactose, sodium starch glycolate and titanium dioxide. Arimidex; In the treatment of early stage breast cancer in hormone-receptor positive postmenopausal women, Postmenopausal women use in the treatment of advanced breast cancer. Arimidex is contraindicated in: Premenopausal women, pregnancy and lactation, patients with severe renal impairment, patients with moderate to severe liver disorders, patients with hypersensitivity to anastrozole, or any of the substances present in its formulation. Arimidex is not recommended for children as it does not have any safety or effect. If there is doubt, it should be confirmed by laboratory tests in which the patient is menopause before treatment. There is no data to support the safe use of Arimidex in patients with moderate to severe liver disorders or in patients with chronic renal failure. There may be deterioration in work requiring attention, such as driving at the beginning of treatment. 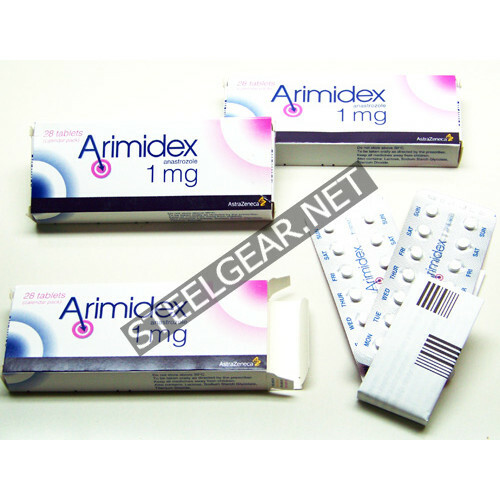 In pregnancy and lactation: Arimidex is contraindicated in pregnant or lactating women. Effects on ability to drive and use machines: Arimidex does not reduce patients' ability to drive and operate machines. However, since asthma and drowsiness are reported with the use of Arimidex, attention should be paid to such symptoms. Arimidex is generally well tolerated. Side effects are usually mild to moderate severity. Only very few cases have been discontinued due to undesirable effects. Depending on the pharmacological action of Arimidex, some expected effects may be observed. These are hot flashes, vaginal dryness and hair loss. Arimidex can cause gastrointestinal disorders (such as anorexia, nausea, vomiting and diarrhea), asthenia, pain / stiffness, drowsiness, headache and skin rash in the joints. In the first few weeks, patients who have previously undergone hormonal treatment have rarely been reported to have vaginal bleeding. If bleeding persists, further evaluation should be considered. May cause a slight increase in total cholesterol levels. There was no causal relationship between thromboembolic events and anastrozole. Although the frequency of thromboembolic events in clinical trials did not show a significant change between anastrozole 1 mg and megestrol acetate, this phenomenon was lower with anastrozole 10 mg. Hepatic changes (increased gamma GT or, more rarely, alkaline phosphatase elevation) have been reported in patients with advanced breast cancer, mostly liver or bone metastasis. There is no justification for explaining the reasons for these changes. Clinical interaction studies with antipyrine and cimetidine have shown that when Arimidex is used in combination with other drugs, it does not cause clinically significant drug interactions caused by cytochrome P 450 enzyme. When clinical safety study results were reviewed in patients who received other drugs commonly used in treatment with Arimidex, there were no clinically important additions. Currently, there is no clinical information regarding the use of Arimidex with other anti-cancer agents. Estrogen-containing therapy should not be used in conjunction with Arimidex because it would eliminate the pharmacological effect of Arimidex. Adults (including the elderly): 1 mg is used orally once a day. Children: Not recommended for use in children. In Renal Failure: Dose change is not recommended for mild or moderate renal insufficiency. In liver failure: No dose change is recommended in mild liver failure. Overdose There is no clinical trial for accidental overdose. Animal studies have shown that anastrozole produces low acute toxicity. Clinical studies were carried out with various doses of Arimidex and were well tolerated in healthy male volunteers up to 60 mg in single dose and in postmenopausal women with advanced breast cancer up to 10 mg daily. Arimidex did not have a single dose of use that could lead to life-threatening symptoms. There is no specific antidote and treatment should be symptomatic. The possibility of using more than one treatment method should be considered. If the patient is awake, may be vomited. Because Arimidex does not bind to protein as high, dialysis may be useful. Generally supportive treatment is applied, including monitoring of vital data and close follow-up of the patient. 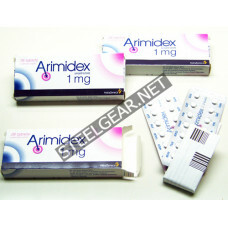 Aridex (Arimidex) 30 Tablets 1 mg Gen-Shi Labs.